If you’re a regular visitor to our site, you’ve probably noticed a lot of articles focusing on different ways of curling your hair. We’ve already covered curling your hair without heat. Now it’s time to talk about how to curl your hair with a flat iron. I saw a friend of mine do this for a nice out at the bar the other day and had to share the process with you. I made a few improvements on her original method to help reduce heat damage from the flat iron while still giving you great curls. Enjoy! The first thing you’ll need to curl your hair with a flat iron is, very obviously, a flat iron. In order to know how to curl your hair with a flat iron though, you need to know you’re using the right kind of flat iron. You’re going to need to use a skinny flat iron. Find a flat iron that is 1 ½ inches or less if you can. Most department stores and some drug stores will carry them. Once you have your choices narrowed down by size, it’s time to narrow them down by shape. Sometimes curling your hair with a flat iron can create unnatural looking bumps or dents in your hair. That’s fairly easy to avoid if you have the right iron. Look for something that has rounded edges on the plates. 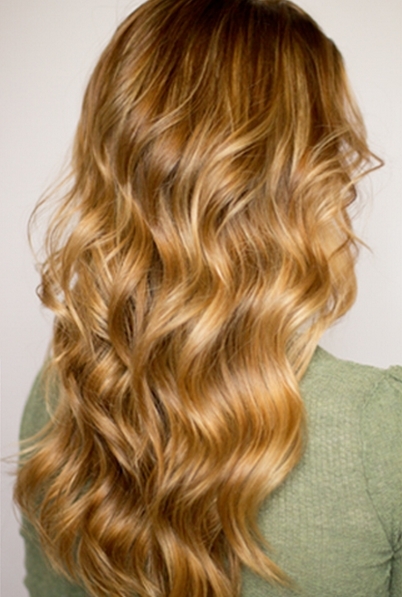 Rounded edges gives your curls a more natural look and helps prevent those troublesome dents. Again, your local department store or even drug store should offer what you’re looking for. We’ll talk about what happens if they don’t in a moment. The last thing you need to keep in mind when picking out your flat iron is the heat you’ll need it to be capable of producing. If you have course hair or if you’re hair is naturally very curly, you’ll need something capable of heating up to at least 400ºF. There are plenty of flat irons on the market that fit the bill. If you have trouble picking one up in stores, check online. You’ll be able to find what you need and often at a decent price. Any product that offers heat protection will work but gel is the best. Really the most important thing to remember here is that you need to use some sort of product that protects your hair against heat damage. 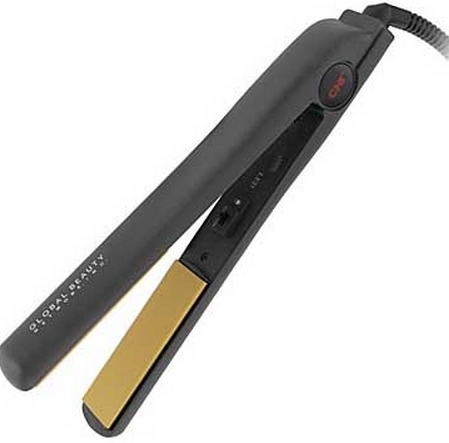 Curling your hair with a flat iron means using a lot of heat and by now, we all know what heat does to hair. The protecting product probably won’t completely eliminate all damage but it will certainly reduce it, making it an important part of the process. Speaking of the process, you came here trying to learn how to curl your hair with a flat iron. It’s time to start talking specifics. Curling your hair with a flat iron really isn’t all that difficult, especially when you have the right tools for the job. Now that you know what those tools are, it’s time to jump into the step by step guide for how to curl your hair with a flat iron. Step One: Start by protecting your hair. Apply by working a glob of heat protecting gel (or similar product) through your hair, starting at the roots and ending at the tips. You don’t want your hair to feel stiff, wet or sticky though so make sure you don’t use too much. A quarter sized amount should do. You may want to use a bit more if you’re hair is especially long or thick. Step Two: Allow your hair to dry. You don’t want your hair to be even a little bit damp for step three. You can use a hair dryer if you’d like or allow it to air dry. I’d suggest using the hair dryer though. A really good blowout can give you a nice foundation for smooth curls that won’t get all frizzy and wild. Step Three: Take a section of hair about one to two inches thick and separate it from the rest of your hair. Clamp it in your flat iron about halfway down the section and turn it about 1 ½ times. If you want the curl turned out, the iron should be turned out. If you want the curl turned in, the iron should be turned in. Step Four: Making sure to keep tension on the curl, continue pulling the flat iron through to the end of the section of hair. Step Five: Repeat steps three and four until you’ve curled all of the hair on your head. While you may feel tempted to start using bigger sections as you go, focus on keeping them no thicker than two inches to keep consistency in the size of the curls and to make sure you get a good curl. Larger section won’t curl nearly as well as smaller ones. Step Six: Finish up with a misting of hairspray, making sure you spray underneath the curls as well. Don’t use too much hairspray. You don’t want your hair to feel heavy or crunchy. A light misting is all you’ll really need. An aide to Super Long Lasting Make Up for Women!